NEW YORK, Jan. 15 (Xinhua) -- U.S. Senator Kirsten Gillibrand, a Democrat from the state of New York, is entering the 2020 race for the president, according to a pre-recorded TV show scheduled to air Tuesday night. In a preview clip of CBS's "The Late Show with Stephen Colbert" published on Tuesday afternoon, Gillibrand, 52, said she was forming an exploratory committee, an essential legal move that will allow her to begin raising money to compete in the Democratic primary before the 2020 election. "I'm going to run for president of the United States because as a young mom I am going to fight for other people's kids as hard as I would fight for my own," she told the program. The senator noted that she supports universal health care, better public schools and job training programs. "But you are never going to accomplish any of these things if you don't take on the systems of power that make all of that impossible," she said. "I know that I have the compassion, the courage, and the fearless determination to get that done," she said in the interview. 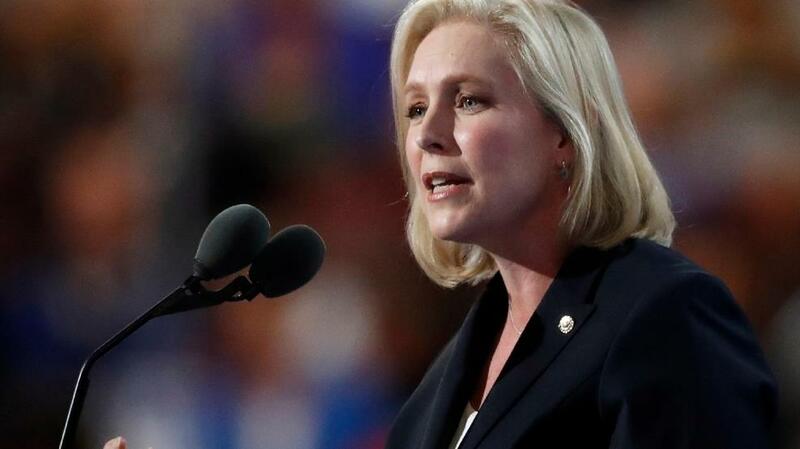 An outspoken critic of incumbent President Donald Trump, Gillibrand has voted against many of his important political nominees. She has also been a champion of women's rights including in the #MeToo movement. Gillibrand is the third woman so far to seek the nomination within the Democratic Party, following Senator Elizabeth Warren of the state of Massachusetts, and Tulsi Gabbard, a representative from Hawaii. Gillibrand, a former corporate lawyer, took the Senate seat of Hillary Clinton in 2009 when the latter became secretary of state. She was reelected in last November's midterm elections to another term.